Today is publication day for my latest book, Magic as a Political Crime in Medieval and Early Modern England: A History of Sorcery and Treason, which is a complete history of the ways in which magic was used (or thought to have been used) to harm, kill or manipulate the judgement of English monarchs. The new monograph is, in some ways, a sequel to my earlier English Catholics and the Supernatural, 1553-1829 (Ashgate, 2013), which looked at the attitude of Catholics towards supernatural phenomena (primarily ghosts, witchcraft and demonic possession) in the post-Reformation period. Researching that book made me very aware that there was a strong strand of Protestant polemic accusing Catholics of being sorcerers, some of which was justified in the light of Catholic plots against Elizabeth I in the early years of her reign. However, I had to set this material aside at the time, intending to come back to it. 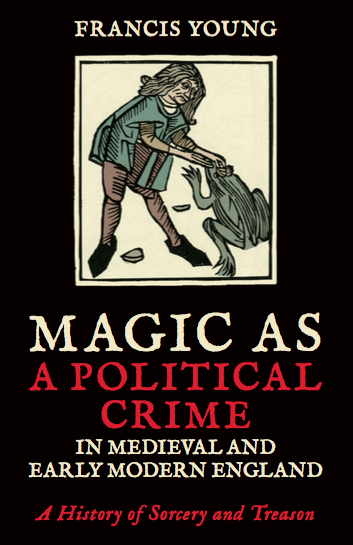 Because its scope is so wide, examining the medieval as well as the early modern evidence, Magic as a Political Crime was a long time in the making. I began work on it in April 2013, not long after the publication of English Catholics and the Supernatural, but the project evolved considerably from my original idea of a history of treasonous magic to embrace negative political magic more broadly. I was pleasantly surprised when, in February 2017, political magic was suddenly thrust back into the spotlight of the modern news media with the news that self-styled witches in the USA were casting ‘spells’ against President Trump. Even more interestingly, the magical method of melting a candle supposed to represent the President, in order to ‘waste’ him, was clearly grounded in the same traditions of sorcery examined in the book. I was surprised to find that a practice of sorcery against political leaders that seems to have died out in England at the beginning of the seventeenth century was alive and well in twenty-first-century America, lending the book an unexpected contemporary relevance. The earliest accusations of magical treason in England date from the reign of Edward II in the fourteenth century, reaching a high point in the fifteenth century at the courts of the Yorkist and Lancastrian kings. The most magically attacked of English monarchs, however (at least while she was on the throne) was Elizabeth I, who even engaged the services of John Dee to protect her against hostile magic. James I came to the English throne after having been the repeated target of magical attacks in his Scottish kingdom, although such activity was a relatively minor feature of his English reign. The allegation laid against the duke of Buckingham and his mother that they poisoned James in 1625 were among the last politically significant accusations of treasonous magic to be made in England (poisoning was usually framed in occult terms until the mid-seventeenth century). As much as the puzzle of why people believed in the effectiveness of magic as a method of treason, the book seeks to uncover why people stopped relying on magic for this purpose in England, especially when magical treason panics continued for much longer in France (the Affair of the Poisons, for example). Magic as a Political Crime is the first dedicated study of the phenomenon of magical treason in England, and the book aims both to highlight an overlooked dimension of treason and to draw attention to the political significance of magic in medieval and early modern England. Congratulations, Francis. A fascinating subject, and one that is still live in very many countries. 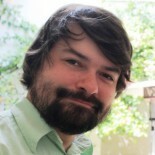 This entry was posted on October 30, 2017 by jacobite.